The little leaf linden is a non-native species of tree that is frequently used as an ornamental tree in the United States. 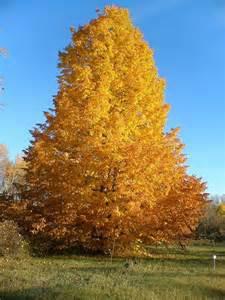 Also known by its scientific name, Tilia cordata, the little leaf linden is native to Europe. Little leaf linden trees are large, expansive trees. The tree produces small, fragrant, yellow flowers in the spring that attract butterflies, bees and hummingbirds. Little leaf lindens are often planted by communities to line streets, due to their fast rate of growth and symmetrical form. They make excellent shade trees and are often use for that purpose in gardens. The tree is also cultivated for its wood, which is clear, white, soft and popular for making kitchen utensils, inexpensive furniture and bee hives. Little leaf linden blossoms can be brewed as a tea. The children enjoyed many activities this week, especially in our Rocks and Soils topic in Science. The children have been enthusiastically finding rocks around the school and are starting to sort them. English: Children will be writing up their own Three Wishes story of a goblin who is granted three wishes by a wizard. Maths: We will be adding small amounts of money. We will also be rounding numbers to the nearest 10 and 100. Guided Reading: Please be reminded that guided reading homework should be returned on the day specified on the front of their yellow response book. If you are unsure of your child's reading day please do not hesitate to ask me. Thank you for your continued support. Spelling: Long sounding 'a'. We have covered ay and ey and this week will be doing spelling activities using 'ai'. Please note a letter will be sent home this week regarding our first school outing to study rocks in our local environment. The outing will take place on Monday 16th October. Year 3 Linden's class assembly will be on Friday 16th March at 9.15 am. Below are some useful ideas and fun websites to help the children learn their times tables. It has been wonderful to see many parents at our 'Thumbs up Thursday' sessions and also at the 'Meet the Teacher' session on Monday, 25th September. If you were unable to attend any of these sessions please do not hesitate to contact me if you have any concerns regarding your child. The Year 3 Linden powerpoint presented to parents, the start of year information letter to parents, curriculum jigsaw and timetable will be uploaded soon.